Course Description: Many lighting products are incorrectly labelled "human-centric" or "circadian." 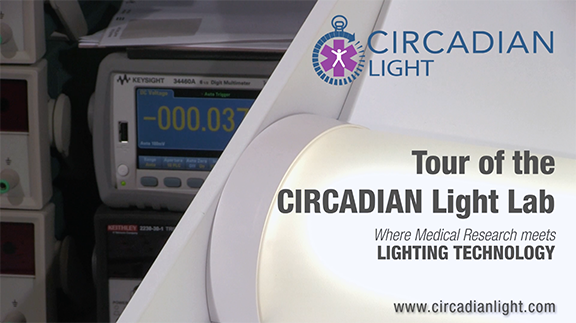 This is because the word “circadian” has recently entered into lighting industry vernacular often with limited understanding of its precise meaning. This can create confusion for architects, lighting designers and specifiers. In 2018 the IES and RPI's National Scence Foundation funded LESA center workshop report concluded that "Merely adjusting CCT, light intensity, or even SPD with time of day does not qualify a lighting system as 'circadian.' CCT color tuning products …should not be labelled 'circadian' unless they have been demonstrated through properly designed clinical trials to be capable of optimizing the phase, amplitude and/or entrainment of the circadian system to promote human health and wellbeing.” This course shows architects and specifiers how to distinguish between "true" and "fake" circadian lighting products, and how spectrally engineered light which removes blue at night and provides blue-rich light during the day offers a medical, evidence-based solution for lighting which optimizes human alertness, mood, productivity and good health.